The Youth group (and parents) begin the Lenten season hosting a pancake dinner on Shrove Tuesday. Prince of Peace Youth Ministry provides a place for youth to grow in their relationship with Jesus and with others, to reach out in Christian service, and to be cared for and supported in their faith walk. The young people of Prince of Peace are actively involved in many ministries (musicians, acolytes, care-givers in the nursery and church school), but the Youth Ministry is working to provide an environment shaped for the middle and high school members themselves. Sunday morning Youth Times coincide with the 10 am worship service twice a month, joining the congregation for the Eucharist. 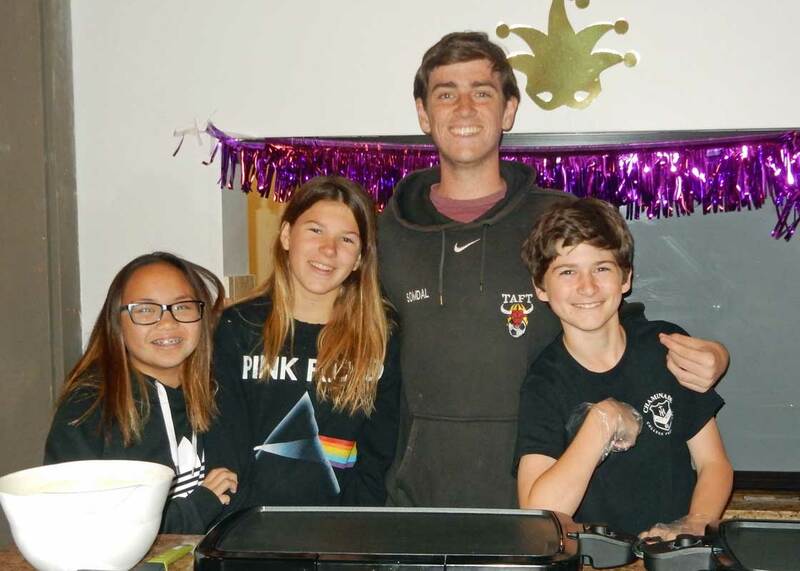 The teens and their parents host and prepare the Shrove Tuesday pancake supper. In past years, the teens have participated in a week-long mission trip in San Diego county. The program is working to re-focus on ways and times to gather that mesh better with various school activities that occupy so much of today's teen life. Each month provides an opportunity for fellowship and to enjoy God. 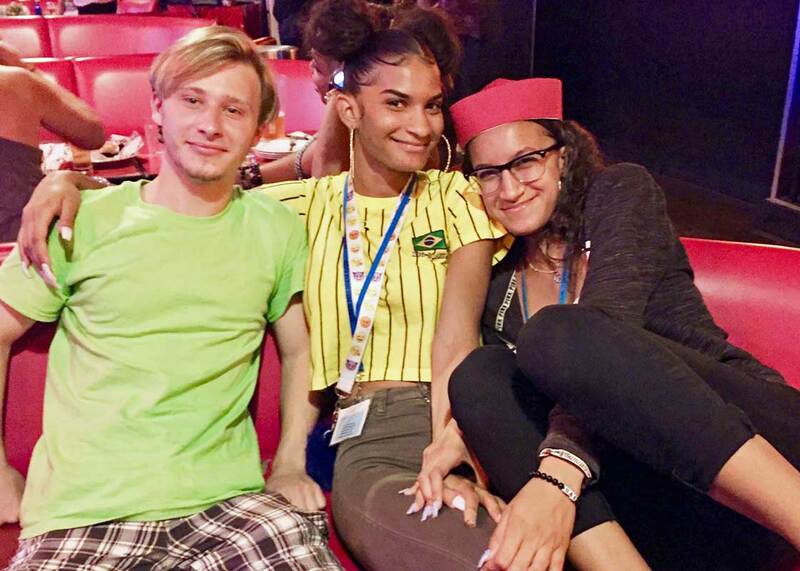 A bowling party July 2018. Katie Rosario wants photos and events! Greetings Youth and their Families at Prince Of Peace!! I am excited and honored to be back officially working with the POP Youth once again! We have a great group as you all know, and I'm looking forward to helping build their knowledge of our Lord Jesus in their Christian journeys. We will integrate a variety of programs for our High and Middle Schoolers, a balanced program of Worship, Education, Service, and Fellowship. I welcome any and all feedback and any ideas -- especially if they come from the Youth themselves!! The Youth Group meets twice monthly on the second and fourth Sundays of the month at 10 am in the Youth Room. Please watch the bulletin, the PeacePrints emails, and out social media sites frequently for other events. Acolyting: this is a very important aspect of Worship at Prince of Peace and we are in need! We do not schedule Youth to acolyte when Sunday School is in session. If you are interested, please contact the church at office@popwh.org or call 818-346-6968. Helping with Children's Ministry: if your child is called to help our younger ones, Linda Sawyer our Children's Ministry Director would welcome all assistance. I am blessed to have several parents who have volunteered to help facilitate different aspects of this ministry. If you would like to help in any of the above, please reach out.